F.J. Bergmann edits poetry for Mobius: The Journal of Social Change (mobiusmagazine.com) and imagines tragedies on or near exoplanets. Work appears irregularly in Analog, Asimov’s, Polu Texni, Pulp Literature, Silver Blade, and elsewhere. A Catalogue of the Further Suns, a collection of dystopian first-contact reports, won the 2017 Gold Line Press poetry chapbook contest. Drop in for a visit at fibitz.com. 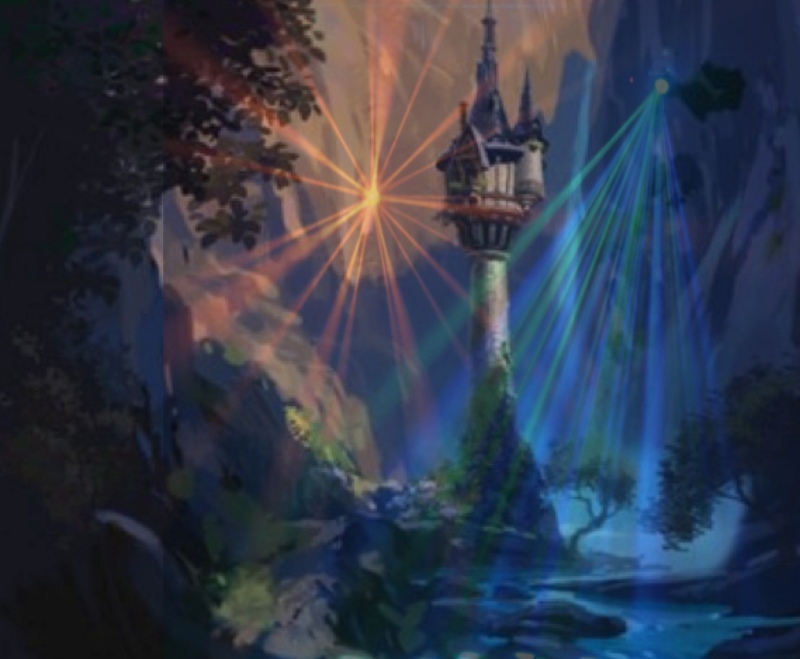 Editor’s Note: A concept art photograph for Disney’s animated film version of “Rapunzel,” Eliminator LED Moon Beam High Output LED RGBWA Moonflower Effect Light, and Starry Night (a piece of digital artwork by Alex Ruiz) are overlaid in this image.